The Seattle area is home to a growing number of technology companies and technology roles. In response to that growth, colleges in the AppConnect NW network have produced nearly 200 graduates with Bachelor of Applied Science (BAS) degrees in software and application development – and another 300+ students are currently enrolled across the partner colleges. BAS degrees were launched in Washington to help meet statewide goals of increasing the number of baccalaureate degrees awarded in our state, and information technology programs in particular are experiencing rapid growth. 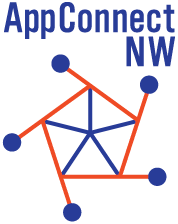 AppConnect NW is pleased to announce that two more colleges have joined the network and are providing more opportunities for local students to enter the technology industry. Cascadia College, located in Bothell, WA, launched their BAS degree in Mobile Application Development of fall 2018 and are seeing exciting progress in their first year. Edmonds Community College also has a BAS in Application Development coming soon, and they’ll be joining the AppConnect NW network as well.